Details about Black & White "Bride" Jersey-Black Vinyl-Wedding Apparel-Factory Seconds-Deal!! 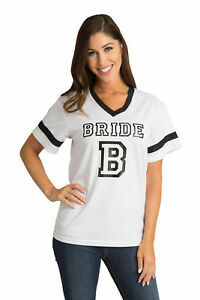 Black & White "Bride" Jersey-Black Vinyl-Wedding Apparel-Factory Seconds-Deal! !